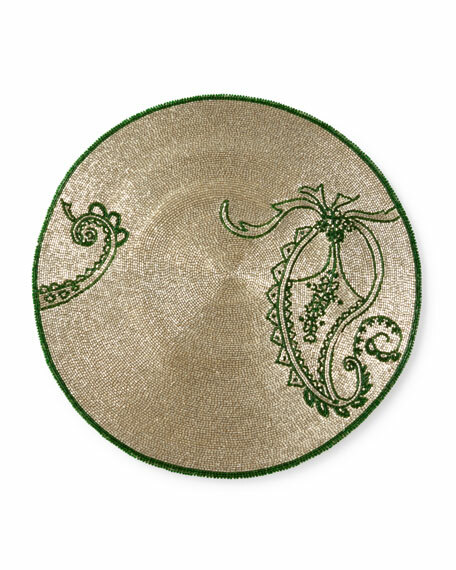 Classic green and silver but with a fresh twist in a placed paisley pattern. Glass beads and glass bugle beads. For in-store inquiries, use sku #2333000.